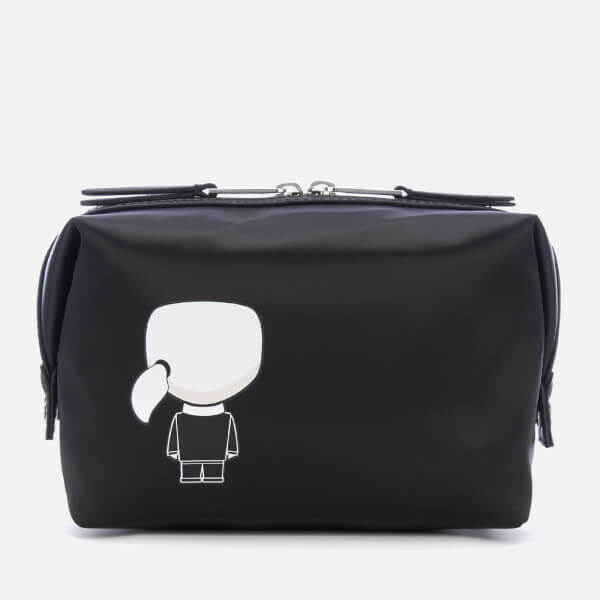 A travel essential with sufficient storage for toiletries. 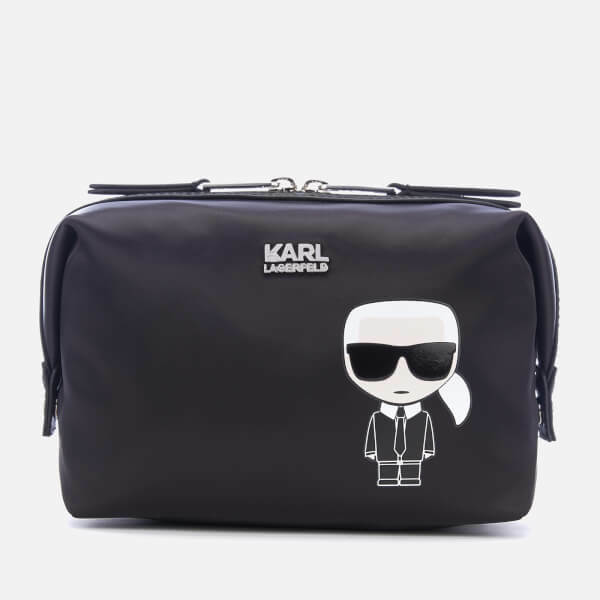 Crafted from smooth nylon, the 'K/Ikonik Karl' wash bag from Karl Lagerfeld showcases signature artwork of the designer to the front and back. Features a two-way zip fastening and a logo print lined interior with a slip pocket. Adjustable press stud sides. Silver-toned hardware and appliqué branding complete the design. Leather-look trims.